I give many presentations throughout the year on commercial energy codes. How the codes have evolved, what you should know about the current landscape, how to prepare for upcoming code changes in specific states – all great information. With these presentations, though, our audience is limited to the people in the room. 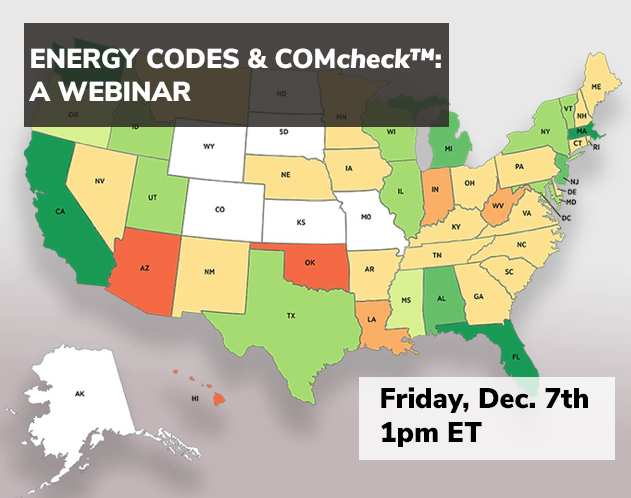 So, I got together with the folks at Metal Construction News and Metal Architecture to organize a webinar that will summarize the key commercial energy code information I’ve talked about over the past year. Mark your calendars for Friday, December 7th at 1 p.m. ET. This is an AIA-approved course and registrants can earn 1 LU/HSW for attending the webinar. More on that below. A webinar is a live, interactive online seminar (webinar = “web” + “seminar”). During our webinar, you’ll be able to see my screen as I go through the presentation, and you’ll be able to hear me speak. You will also be able to ask questions like you would during an in-person presentation. The webinar will be recorded and posted to our Therm-All YouTube channel within a day of the broadcast. This means that you’ll be able to watch the webinar even if you can’t attend the live broadcasting. You should still sign up to “attend” the webinar, since this is the only way we can send you the webinar link once it’s published. The latest metal building envelope requirements in the IECC 2015 Code and ASHRAE 90.1-2013 Standard. How to run a successful COMcheck™ report. Metal building insulation systems that satisfy the latest code requirements. Once you register, you’ll receive a confirmation email with directions for joining the webinar. Save that email so you have the link handy on the day of the webinar. Also, you may want to double-check your system requirements beforehand to make sure your browser and audio are compatible with the GoToWebinar software. The current commercial energy code landscape is complex, and it’s easy to get overwhelmed. 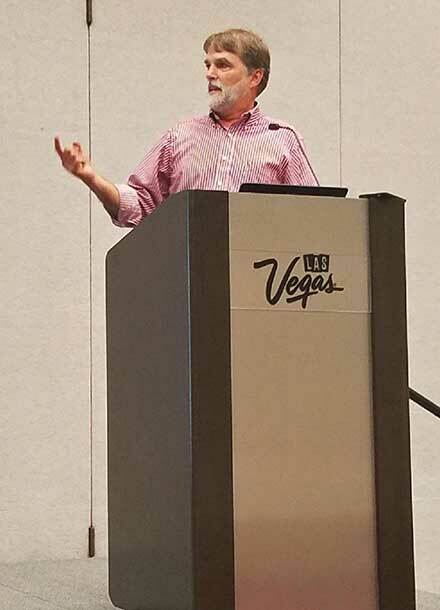 Whether you’re a builder, architect, specifier or sales manager – it doesn’t matter, there will be something in this presentation for everyone in the metal building industry. If you have any questions about the webinar, send an email to info@therm-all.com. Otherwise, I hope to “see” you December 7th.